You’ve experienced a lot of magic by touring the attractions of Orlando and now you’re back at Hyatt Place and ready for a nice, quiet evening in your room. Your best option when everyone’s hungry? 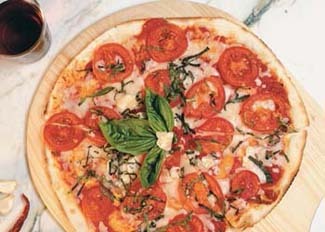 Call for Pizza delivery to Hyatt Place Lake Buena Vista Florida from Caprino’s Italian Restaurant. Steaming, hot, fresh pizza will be on its way to you like – magic! 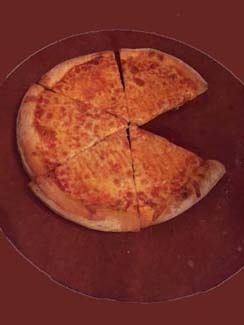 You’ll find, like so many others have, that this is the best pizza delivery to Hyatt Place Lake Buena Vista. There is nothing else quite so enticing as the aroma of a fresh, hot pizza once you open the box and the aroma drifts across the room. Everyone is instantly attracted, and you’ll find that you can have an enjoyable evening right there in your room. No need to try to get everyone dressed up to go out, or to put up with impatient little ones in a restaurant. You’ll find that the best pizza delivery near Lake Buena Vista FL 32836 has you covered. Room service can be overpriced and leave you with sketchy results. Often times, it’s not worth the risk. With Caprino’s Italian pizza delivery to Hyatt Place Lake Buena Vista you know exactly what you’re getting – the highest quality authentic Italian pizza you can find anywhere around Orlando. Caprino’s pays attention to using only the freshest ingredients in their original pizza creations. This begins with imported flour and water to make a crisp crust, to freshly made tomato sauce, crisp vegetables and flavorful meats, hand selected for pizza perfection. Whether you have little ones who insist on cheese only on their pizza, to adventurous foodies who love to try exciting new flavors, you can please every palate with the best pizza near Hyatt Place Lake Buena Vista from Caprino’s. Adventurers will love exciting topping choices like imported Feta cheese, Calamari, figs, Kalamata Olives, spicy banana peppers, bacon, shrimp, Prosciutto Di Parma or Capicola. Or choose traditional sausage or pepperoni for those who like their pizza with one or two main delightful flavors. Chef Stefano Tedeschi, Caprino’s Lead Chef, received training alongside true Italian chefs, and by working in his family’s own pizza business. He believes in the principles of family, food and culinary excellence to give families a memorable pizza and Italian food dining experience every time. Now you can have this premium dining experience from the best pizza restaurant near Hyatt Place Lake Buena Vista delivered right to your doorstep. Chef Tedeschi from Caprino’s found inspiration for his unique pizza creations from worldwide influences and experiences. Try the Hawaiian Pie for a tantalizing blending a sweet and salty with ham and pineapple. Or the Hog Wild with a perfect blending of sausage, Soppressata and bacon, delicately enhanced with Parmesan Reggiano and Provolone cheeses. Creations like the Arrabiata Pie give you a truly unique experience featuring spicy banana peppers, Provolone, Mozzarella and Spicy Soppressata. 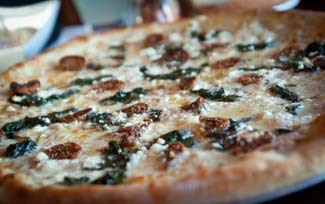 The Caprino Pie will tempt your taste buds with a garlicky cream base featuring goat cheese, spinach and chopped figs. Gluten-free options are also available to please those with special dietary requirements. The one thing that enhances these interesting pizza creations is that you can have them delivered by the best Pizza restaurant near Hyatt Place Lake Buena Vista FL 32836, Caprino’s Italian Restaurant. Caprino’s is a family owned and operated pizza and Italian restaurant, featuring true family values like giving you exceptional quality for an affordable price, the highest standards of integrity, and fast efficient delivery. The same emphasis is placed on excellence whether you choose dine-in, takeout, delivery or catering. A simple phone call will let you know that you’re on the way to the best pizza delivery to Hyatt Place Lake Buena Vista. The total satisfaction and happiness of your family and friends is a paramount priority for Caprino’s Italian Restaurant. With every American eating about 46 slices of pizza each year, a hot, delicious pizza is the one thing that tends to make everyone happy. Listen to the laughter and enjoy the conversation that brings everyone closer to see for yourself how nice it can be having the best pizza near Hyatt Place Lake Buena Vista delivered right to your doorstep. Expertly hand-crafted pizza cooked to perfection in a hot stone pizza oven is the one food choice everyone will agree on. Since 94 percent of American’s eat pizza regularly, you’ll be right on-trend with your smart pizza delivery choice. 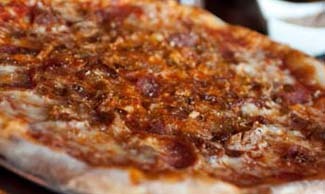 Sharing an exceptional pizza is the one thing that can perfectly top off the fun you’ve had visiting Orlando, Walt Disney World and all the nearby attractions that have made this area famous. A quick phone call to Caprino’s Italian Restaurant is all you’ll need to discover for yourself Orlando’s first choice in pizza delivery to Hyatt Place Lake Buena Vista Florida.